As the younger brother of Michael, David Hussey has copied his sibling’s talent for ridiculous scoring in the English county competition. 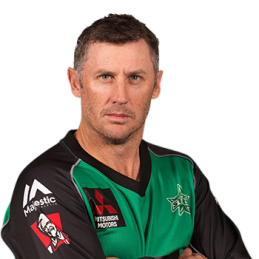 Also like Michael, Hussey has been forced to pile up mountains of runs in Australia before gaining the confidence of the national selectors. It took his first 1000-run season in 2007-08 before he was finally chosen for a tour, the ODI series in the West Indies in 2008, and earned his first Cricket Australia contract. Earlier in that summer he made his Twenty20 international debut against India at the MCG. Hussey was one of the big surprises in the Indian Premier League auction when Kolkata paid $625,000 to secure him – far more than the sums offered for his brother and Ricky Ponting. Over the next couple of years he was a regular in Australia’s Twenty20 team and a fringe ODI player. In 2009-10, Hussey topped the Sheffield Shield run tally with 970 at 57.05, including 168 in the final as he helped Victoria raise the trophy with victory over Queensland. But within a month Hussey had lost his CA contract as the selectors looked to younger men. His insights into the behind the scenes workings of Australian Cricket are fascinating for all audiences.